On sunny afternoon of 26th June 2014 in Tokyo, Japan, 3,200 people gathered to Hibiya Park*. The protest, named “Better in communities, not Hospitals: Stop renovating psychiatric wards into residence”, shortly “6.26 Urgent Meeting”, was decided to be held just three weeks before the date by a collation of service users, carers, mental health professionals and disability organisations. This was the biggest kind of protests regarding mental health issues in Japanese history and it raised as much as 5,005 Pounds donation. 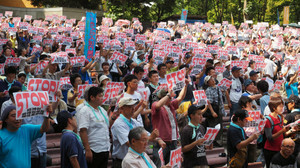 The participants showed their anger against Japanese government’s intention to introduce a new plan regarding psychiatric hospital wards, the plan which has been emerged in a series of committees appointed by Department of Health. They try pursuing a blow-dried plan to reuse mental hospital wards as residential facilities for long-term inpatients in order to reduce the infamously highest number of psychiatric hospital beds per capita in the world** without actually trying to discharge long stay patients into communities. Seeing recent history, a similar idea was once introduced in 2006 and at that time they failed to implement properly and only two hospitals made the facilities. 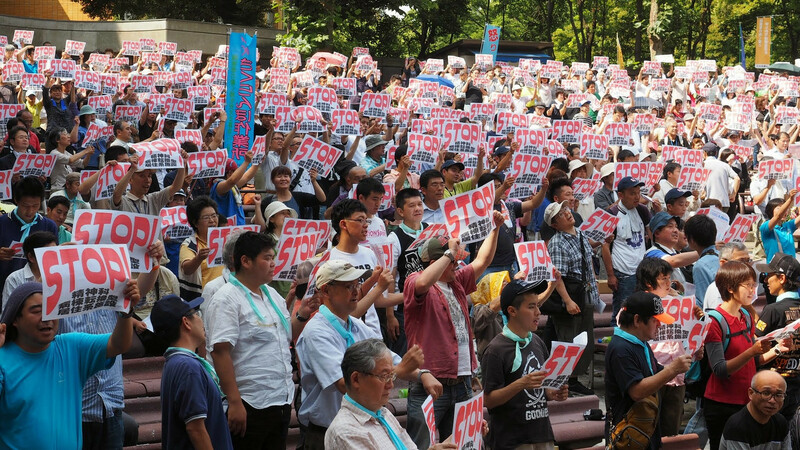 * Hibiya Park is located at the front of the Diet Building and Government Offices Buildings and where protesters often hold public meetings to show disapprove of state’s policy or bill.